Chitchat a large collection of word stickers to create your own banter, 1088 words. Each book contains adhesive back words printed on both white and kraft matte cardstock. Ink the edges and adhere them to cards, scrapbook pages and any other project when you need to say what you think. TH92998. 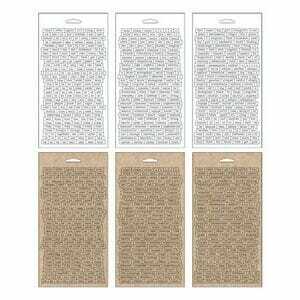 Customer evaluation for "Tim Holtz idea-ology - Chitchat"